Students in Visual Design learned about the design concepts of positive and negative space, symmetry and pattern. Their task was to abstract a letter form of their choice and create an interesting pattern from the original letter form. The original unit was created by cropping the letter form on a minimum of three sides. Students then repeated the letter form using one of four symmetries; translation rotation, reflection and glide reflection. The result is a pattern that is made up of sixteen letter forms that have an equal balance of positive and negative space. 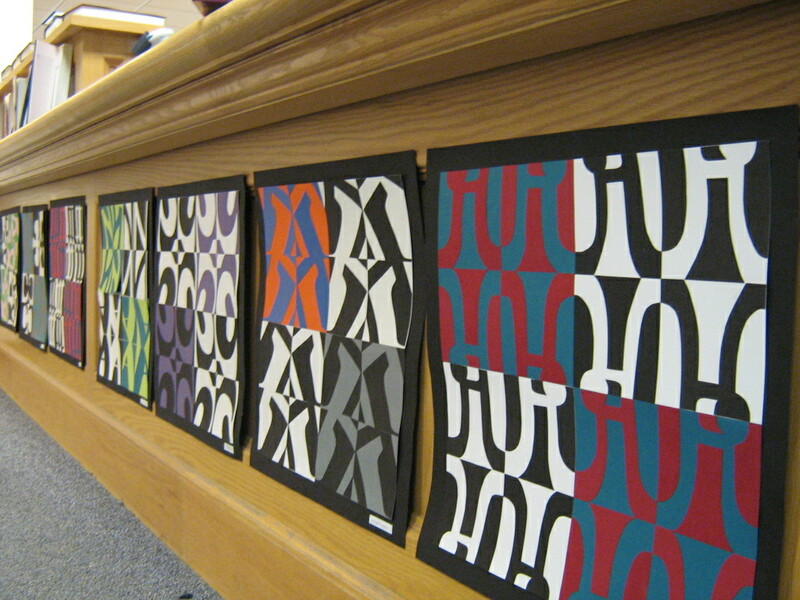 Their completed work was displayed in the school library for all to see.